There was a post on Gizmodo.com today from the slingshot youTube channel of a pencil launching slingshot. 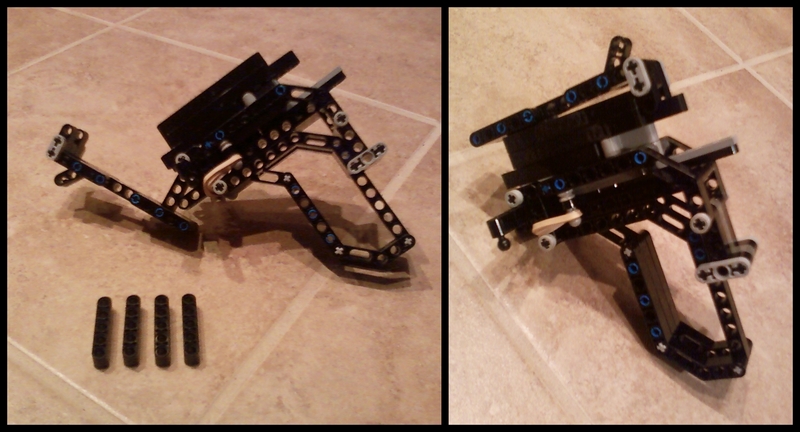 I decided to see if I could make something with a similar top loading magazine, and ended up with this. 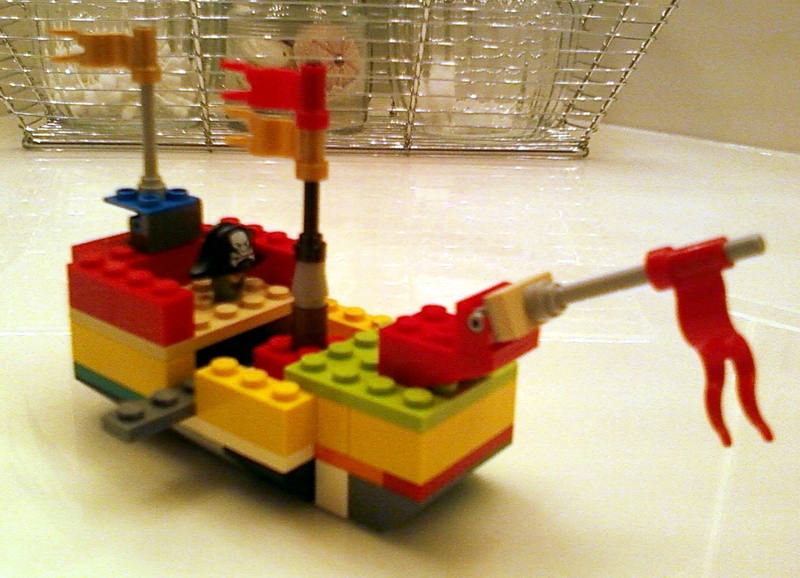 Here’s a little pirate ship that our oldest built for his LEGO Plankton. I’ve been meaning to post it forever. This entry was posted on March 5, 2012 at 7:00 pm and is filed under Doodles, Toys. You can follow any responses to this entry through the RSS 2.0 feed. You can leave a response, or trackback from your own site.